Tidal: Is anyone really surprised? Earlier this year Jay-Z and his billionaire artist friends set out to save the record industry (themselves) from falling profits. Their answer? A streaming music service with a “superior” sound quality that no one needs to a price that no one wants to pay. It was no surprise to read on Bloomberg that Tidal is in trouble. Surely this couldn’t have come as a surprise to anyone with the slightest business sense? Read the article for yourselves here. 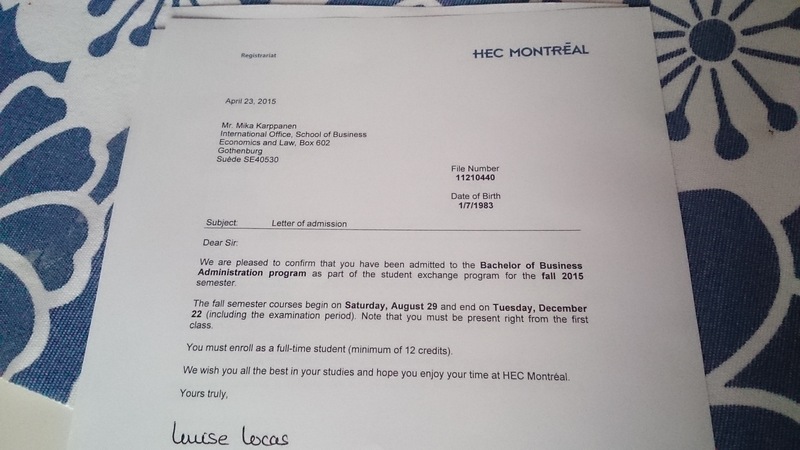 Yesterday i visited the International office at school to pick up my letter of admission from HEC Montreal, where i’ll be spending the fall semester later this year. Feels great that things are starting to fall in line! Now i just need to buy airline tickets, sort out accommodation, and a bunch of other stuff.